Cities are primarily supplied by ﻿surface water from rivers and lakes﻿. Although this type of water has a lot of contaminants and pollutants, it goes through a variety of cleaning processes before it ever enters your home. If the water has sub-terrain sources such as aquifers and springs, less filtration is usually required. Well water comes straight from underground, and while it doesn’t go through the same cleaning process, the water is filtered naturally as it slowly trickles from the surface into underground reservoirs. Well water from deep sources is usually more pure than surface water. Shallow well water can be unsafe; a well 40 feet deep or less has the chance of contamination. Water is considered to be “hard” if it contains an excess of minerals. Recommendations have been made for the maximum and minimum levels of calcium (40–80 ppm) and magnesium (20–30 ppm) in drinking water. Minerals in your water can build up on your glassware, shower door, fixtures, clothes or other items throughout your home. More concerning than excess minerals is excess iron. Ground water, especially if the water is acidic, in many places contains excessive amounts of iron. Iron causes reddish stains on plumbing fixtures and clothing, and can lead to health problems. Iron can build up in vital organs, even in mild cases of iron overload, increasing the risk for diseases of the liver (cirrhosis, cancer), heart attack or heart failure, diabetes mellitus, osteoarthritis, osteoporosis, metabolic syndrome, hypothyroidism and hypogonadism. The E.P.A. advises that you test well water annually, especially if you see signs of trouble like corroded pipes, strange odors or stained laundry. Determine which contaminants to test for. Underground water can vary greatly from one location to another. 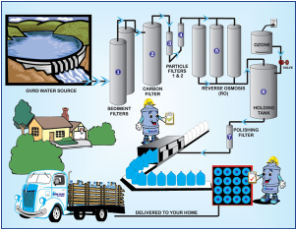 Therefore, it is wisest to get your well water tested before installing a filtration system. Ask for guidance from the lab or your local health/water department on which contaminants to test for. Find out whether radon or heavy metals like arsenic are present in underground rocks or soils in your area. Tell the laboratory if you live near a farm, an industrial cattle-feeding operation, a gas station, a mine, a factory, a dump, dry cleaners, gas stations, and/or automobile repair shops, as you may wish to consider testing for VOCs, metals, total dissolved solids (TDS), and petroleum hydrocarbons. Well owners in agricultural and livestock areas may consider testing for pesticides, nitrate, bacteria, and TDS. Commonly observed well water contaminants are summarized in this PDF report. result from human activities at the surface. feet of a private domestic well. septic systems have been detected in groundwater. surface can release naturally occurring radioactive elements from sediments and bedrock. 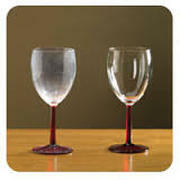 Table 1 outlines several common problems in drinking water, and substances you can test for. Not every problem and possible cause is a health risk. (Less-frequently encountered water quality issues are not listed in Table 2.) Consult a water treatment professional if your particular water quality problem is not listed. The best filters utilize a blend of high-grade activated carbon. The purpose of combining two types of carbons is to gain a wider range of contaminant filtering capabilities offered from each type of carbon. A good activated carbon filter and a small micron ceramic filter also works well together. Well water can be far more dangerous than municipal water, containing levels of arsenic, cadmium, mercury, barium, lead and uranium that are already way above the limits known to cause health problems. Arsenic, even at municipally accept levels is now implicated in type 2 diabetes.